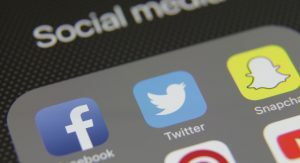 But just as alcohol disguises the smell of chemicals, social media hides the bitter poison of identity politics – a poison that increasingly dominates the content we read. This is a victory of feelings over facts. Big tech is enabling identity politics to dominate the virtual public square – and it’s even aiding its takeover of the real one, too. In the novel 1984, George Orwell coined the phrase “Big Brother is watching” to refer to the government. Today, he’d have to include social media companies as enforcers. This is deeply out of step with America’s founding, which championed the legal equality of each citizen based on inalienable natural rights. It is also out of step with the way most Americans developed their identities – from their families, religious communities, and civic groups. But as our society has become more atomized, identity politics has filled the void and offered an alternative kind of social identity – albeit a toxic one. We should not be surprised, then, when incidents of identity politics seem to reveal a totalitarian streak. Identity politics doesn’t just produce a grievance culture, it produces a vengeance culture – one that never ends and can never be resolved.